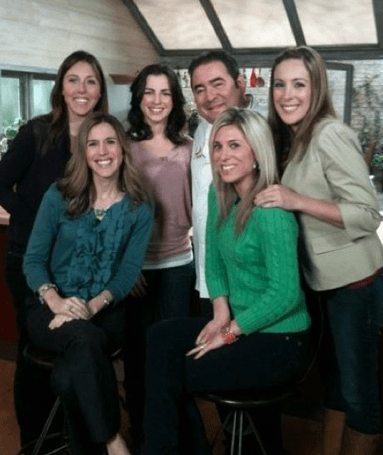 A few weeks ago, I was invited to sit down with Emeril for his newest cooking show. Well, I was just told that my episode is going to air on 10/14!! How exciting!!! We had so much fun cooking up those dishes with the famous chef. And who could complain about spending the day with your friends. I went with Whitney, Dana, Colleen and Audrey. Fun! Previous Post: « Thanksgiving Recipes And Craft Projects: Over A Dozen To Choose From! Can’t wait!! I’m DVR’ing it. 🙂 I did catch Bill’s episode. I know this stuff is pretty normal for you guys now, but for the rest of us, it’s pretty nifty! Even just seeing Audrey’s book in the local bookstore was surreal. Or watching an episode of International House Hunters and recognizing the couple because Kyle had photographed them! Just cool stuff!